Ever since its official launch, the Chevrolet Camaro is quite an impressive hit among tuners. Another impressive package has been announced by Baldwin-Motion and Redline Motorsports. 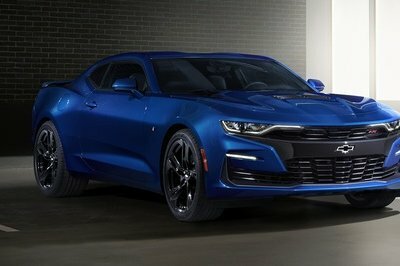 There will be in fact two packages called 427 and 454 and offered in different engine update stage, with the most impressive one being the 2011 SS & Phase III Camaro that increases the engine’s output to a total of 800 HP (427-SC Supercar). 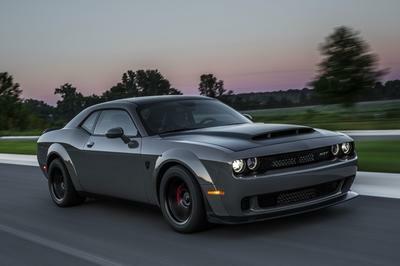 People interested will have to choose from five different packages: SS-427 (525 HP), Phase III 427 (600 HP), SS-454 (550 HP), PHASE III 454 (625 HP Torque Monster!) and PHASE III 427-SC (800 HP Supercharged Supercar). Baldwin-Motion’s Joel Rosen partners with DeNooyer Chevrolet’s Performance Division and Redline Motorsports to build and market 2011 MOTION 427 and 454 Camaros. More than 40 years ago Joel “Mr. Motion” Rosen, a young Brooklyn dyno-tuner, hot rodder, street racer and national record holding drag racer, turned a simple 427 Camaro engine swap into an empire. And catapulted Baldwin-Motion and MOTION into internationally respected performance brands. Working with Baldwin Chevrolet, he was the most prolific builder-marketer of modified new big-block Chevys during the Supercar ‘60s & ‘70s. He backed up Phase III models with written money-back performance warranties! He’s now passing the torch to Howard Tanner, a young dyno-tuning specialist and speed shop owner. 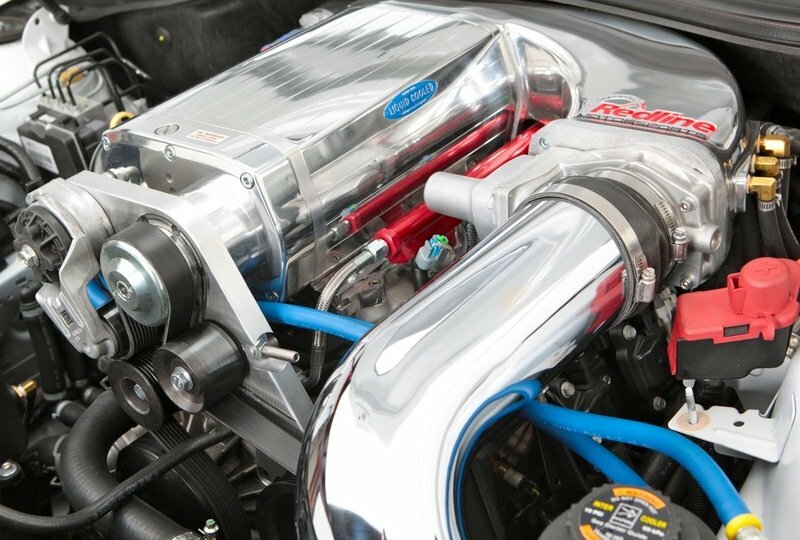 Specially prepared 427 and 454 engines power the latest iterations of the legendary Baldwin-Motion Fantastic Five: 2011 SS & Phase III Camaros, dyno-rated at 525 (SS-427) to 800 horsepower (427-SC Supercar). Howard Tanner is President of Redline Motorsports, a speed shop specializing in fuel-injected vehicles in Schenectady, NY. He and his team are the builders. Dan Carlton, General Manager, DeNooyer Chevrolet’s Performance Division in Albany, NY is handling client contact. DeNooyer Chevrolet, owned by second-generation Chevrolet dealer Jim DeNooyer, is the highest volume Chevrolet dealership in upstate New York. As a young, hands-on car guy, DeNooyer was into hot rods, customs and drag racing. He later moved up into fast boats and has held speed records since the 1990s. Sons, Joel and Tom, also high-performance enthusiasts, handle day-to-day operations. “It’s great that the folks at DeNooyer Chevrolet and Redline Motorsports have embraced the Baldwin-Motion heritage of using the latest GM 427 and 454 high-performance factory engines in their new MOTION Camaros,” said Dr. Jamie Meyer, Product Integration Manager, General Motors Performance Parts. Tanner is a highly skilled engine calibrator and dyno-tuner as well as an experienced builder of large-displacement GM vehicles, including Camaros and Corvettes. Carlton, a respected racer, successful GM of luxury brand dealerships and former Chevrolet dealership principal, has years of experience selling both imported and domestic high-performance vehicles. He is a former New York State Ice Racing Champion and currently competes in sports car, ice racing and Modified motorsports. 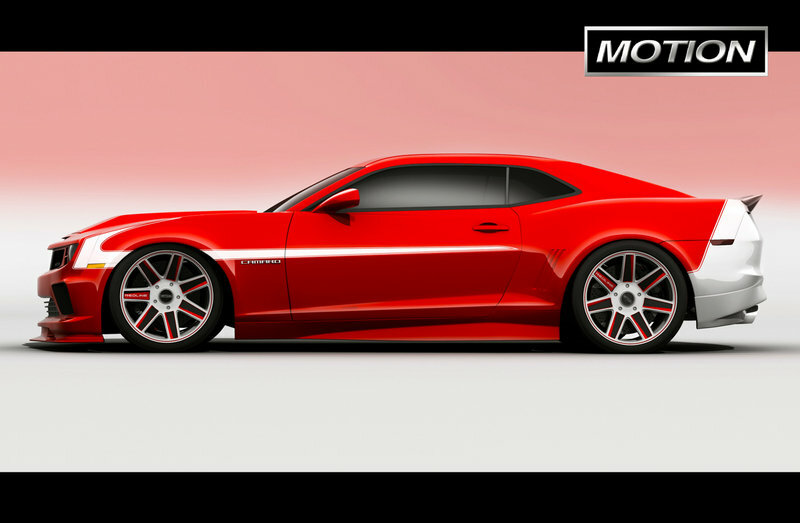 Every MOTION Camaro will be built to order at Redline and tuned by Howard Tanner on its DYNOmite 1,400 horsepower Eddy Current Load dyno. A full dyno report as well as official Baldwin-Motion documentation will go with each car. Sanctioned, serialized and signed by Joel Rosen, each 2011 MOTION SS & Phase III Camaro will be delivered with custom MOTION VIN plates and complete documentation. 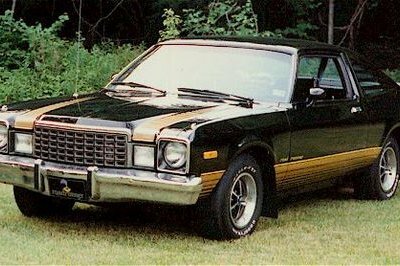 To prevent future cloning of MOTION Camaros, Rosen and Carlton will be establishing a confidential MOTION Registry detailing VINs, vehicle specifications and original purchaser data. In 1967-1968, Baldwin-Motion marketed its full line of 427 Chevys under The Fantastic Five banner. Advertising and marketing materials, as well the windows at Baldwin Chevrolet, screamed The Fantastic Five. 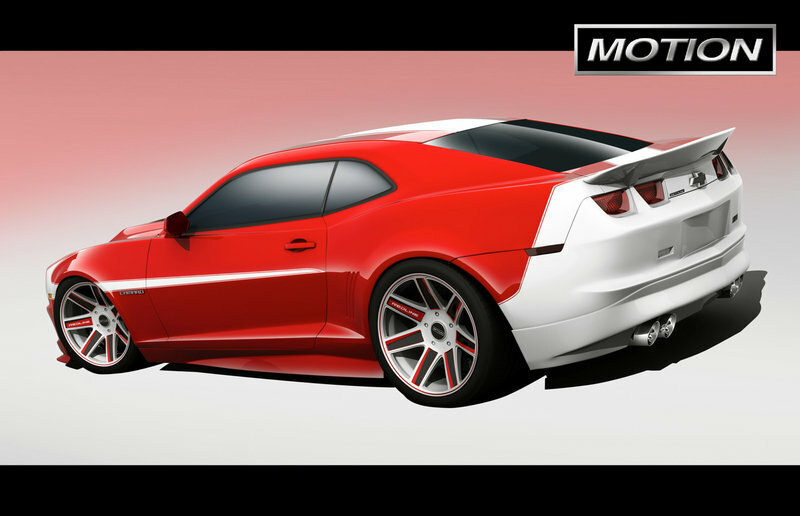 And, that’s how they’re launching the new line of 2011 MOTION Camaros. 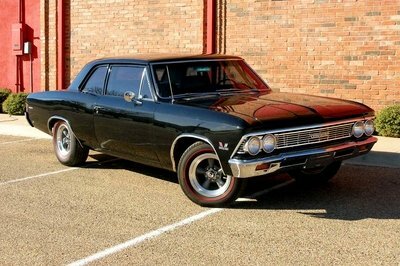 “I like to think of our 2011 SS and Phase III 427 & 454 Camaros as “modern MOTION mythmakers!” said, DeNooyer’s Carlton. “We produced extremely expensive, coachbuilt Camaros between 2005-2009. This time it’s different. Our new MOTION 427 & 454 Camaros are much more affordable and drivable, starting at under-$80,000, and will be hard to beat on the street or at a show. I’ve ordered the first one (#001), a limited-production, 800-horsepower supercharged Phase III 427-SC Supercar,” said Rosen. Wow! Among muscle car.. I really love the Camaro for it has an impressive detailing and awesome performance. And I bet with the engine like that no wonder if we see this car blast in the track! Oh come on guys! Don’t be too snobbish, look at the styling and design of this car plus the figure performance I think its enough to call this car amazing! 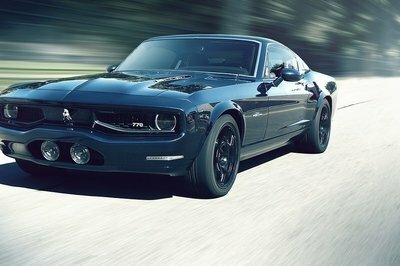 BTW, its not a usual thing to have a 800 hp for a muscle car! I suggest that they have made the color full color red because based on my opinion this car look so edgy and the white color in the black is odd! Wow! I like the paint job of this car it look so clean yet sporty. I just wonder what happened to the stripe in the bonnet. it need a better painting! I prefer the Mustang when comes of handles and performance. The image of the car looks in the last decades but because of the latest version revised from it,It will look more impressive,amazing and stylistic look. Why must every Camaro and Mustank special edition be ruined with tacky stripes? Alcantara is an amazing material, but it stains easily, and does not hold up to wear and tear very well. 800HP for under 100k? This should be a record! Another impressive package has been announced by Baldwin-Motion and Redline Motorsports.But one thing,I don’t want the color combination of red and white its just it can destroy the purities and the cleanliness of the car. yes its color combination is great, but what i like about it is the Aero Kits and vents, It looks more aggressive and sporty with those kits, plus the rim is a big factor also, it looks more lighter than any other sports wheels. dang I love it even thought is a photo shop creations, read and white is really a great combination of colors, but did they get the concept on Marlboro? or Nintendo?